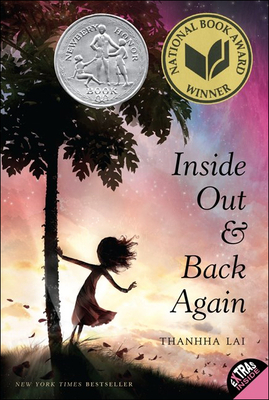 Inside Out and Back Again is a New York Times bestseller, a Newbery Honor Book, and a winner of the National Book Award Inspired by the author's childhood experience of fleeing Vietnam after the Fall of Saigon and immigrating to Alabama, this coming-of-age debut novel told in verse has been celebrated for its touching child's-eye view of family and immigration. Ha has only ever known Saigon: the thrills of its markets, the joy of its traditions, and the warmth of her friends close by. But now the Vietnam War has reached her home. Ha and her family are forced to flee as Saigon falls, and they board a ship headed toward hope toward America. An author's note explains how and why Thanhha Lai translated her personal experiences into Ha's story. This paperback edition also includes an interview with the author, an activity you can do with your family, tips on writing poetry, and discussion questions.